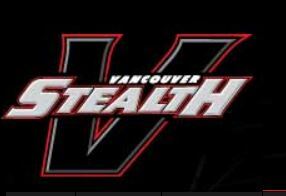 MoveUP events and social planning committee is pleased to offer members the opportunity to see a Vancouver Stealth game on Saturday, April 21st, 2018. This is the last home game of the professional lacrosse season against their West Division rivals the Calgary Roughnecks. Game Night: Saturday, April 21, 2018. Doors Open at 5:30 pm -Dinner served at this time – (game starts at 7:00 pm). Location: Langley Events Center – 7888 200 Street, Langley. NEW – Ticket Details: UP to FOUR tickets per member (member and 3 guests). Ticket Price: $25 per ticket – includes roast beef dinner in the dining hall prior to the game – one alcoholic /non alcoholic beverage and a seat for the game. Ticket deadline is April 17th at Midnight. We are looking forward to cheering on the Stealth and hope you will join us.